Getting a gig as an actor is no small feat. And, getting a gig that lasts for almost 14 years is an even bigger feat. 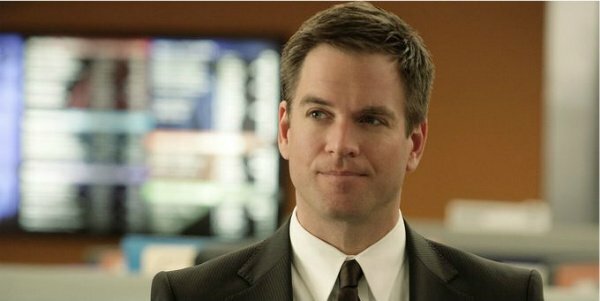 But, after 13 seasons as Senior Field Agent Anthony DiNozzo on the CBS show NCIS, Michael Weatherly is calling an end to his time on the show. Weatherly announced in January that he’ll be departing the show at the end of this season. With the 300th episode of the series just a little over a month away from airing, Weatherly had a chance to reflect on his time on the long-running show. I have had the most extraordinary journey and ride. It's been a hugely gratifying and awesome experience and I pray that when I'm in my old folks rest home -- which is only a few years from now -- that I will look back on these 300 episodes. I'm really most impressed with the audience that found this show and the fans out all around the world who love these characters. Michael Weatherly spoke with Entertainment Tonight at a celebration for the 300th episode of NCIS, and let it be known that he’s extremely grateful for his time on the show. He also expressed his love of the fans who have propelled the show through those 13 seasons, which is no doubt a miraculous thing to be a part of as an actor. Most actors don't get to feel that kind of love from an audience, ever, much less on a regular basis for over a decade. NCIS started as a spinoff of the popular show JAG, receiving an introduction to the concept and characters in two Season 8 episodes of that program. It debuted in September 2003, and is now the second longest running, scripted, live action primetime TV series currently airing. The only show that beats it is Law & Order: SVU, which started in 1999. NCIS also ranks as the fifteenth longest running scripted primetime TV show, overall. The series focuses on a team of Naval Criminal Investigative Service Major Case Response Team and the special agents stationed at the base office in Washington, D.C. The team is responsible for law enforcement and counterintelligence for the Navy, and investigates all felonies within that branch of the military. The series has even spawned two successful spinoffs of its own. Michael Weatherly’s Agent DiNozzo is a former police detective who worked a case with his soon-to-be boss at NCIS and later quit the force to join the team. He’s considered to be a charming womanizer, (who’s also the source of much of the humor on the show) but is far deeper than that. His character was deepened by the relationship he developed with co-worker Ziva David to the point where fans wanted them romantically involved enough to nickname the agents “Tiva”. It’s unlikely that this will be last we hear of Michael Weatherly. The actor signed a deal with CBS in early 2014 that allowed for the network to work with his production company for future projects. So, while people will miss Anthony DiNozzo, they’ll undoubtedly get more Michael Weatherly in the future.